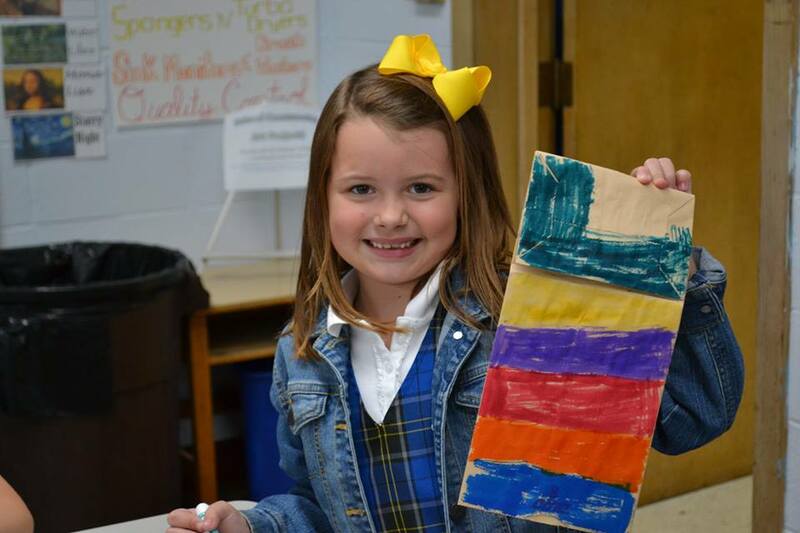 After School art club is an enriched art program in which students may work on independent and group art projects that differ from projects completed during instructional time in the classroom. Students are encouraged to develop their own aesthetic styles while exploring area(s) of the visual arts and expanding upon their current artistic skills utilizing a variety of artistic mediums. Each session also includes at least two STEAM art projects where students combine art with science, technology, engineering and math! 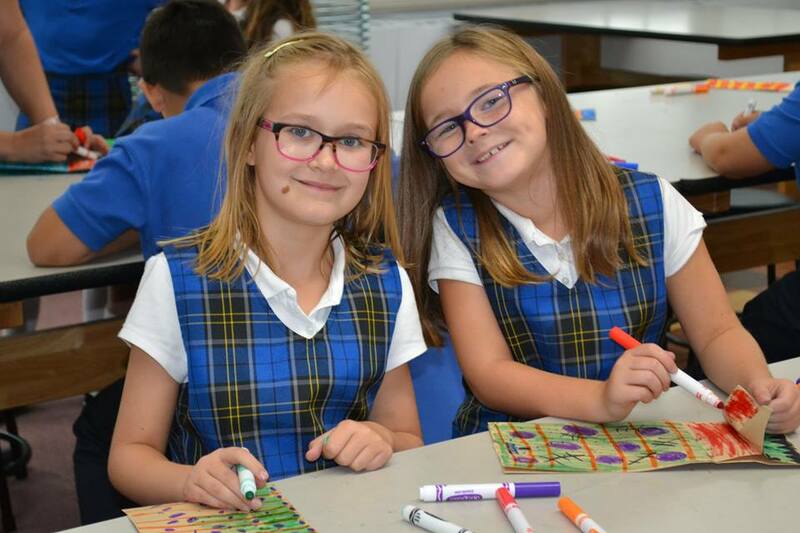 Visitation’s art teacher Mrs. Letellier teaches art club in the art room and has spots available in each session for middle school students to help out as well as lead instructions to some of the activities. There are times when art club ventures outdoors or to a bigger area to create their master pieces as well. Some activities correlate to the season or holiday and some activities are spontaneous where students explore with different art mediums to create beautiful pieces of art. The sessions before the Christmas and Spring show art club creates a hand drawn and colored photo backdrop to be on display for the show. Do you know what happens to water color when salt is put on it? How about coding your name in a necklace? Come and check out art club where you are bound to have fun with friends from all different grades and learn more about art! Permission slip forms are sent out the week before the next session starts. Any questions can be emailed to Mrs. Letellier at letellier@visitationelmhurst.org.